I have to give credit for this creation to my middle daughter. She loves to help me in the kitchen and has recently become very into watching those cooking videos that are so captivating! She loves to look at my news feed with me on weekend mornings and watch video after video. 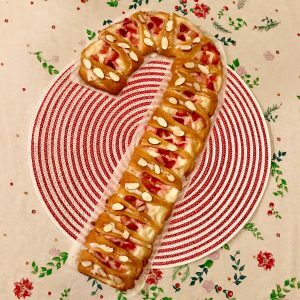 Last weekend she saw one for this candy cane cheese danish and her little eyes lit up. Immediately followed by all the modifications she wanted me to make to it. First up, it had to be strawberries for the red fruit, and texture was a must, can’t imagine where she gets that from. 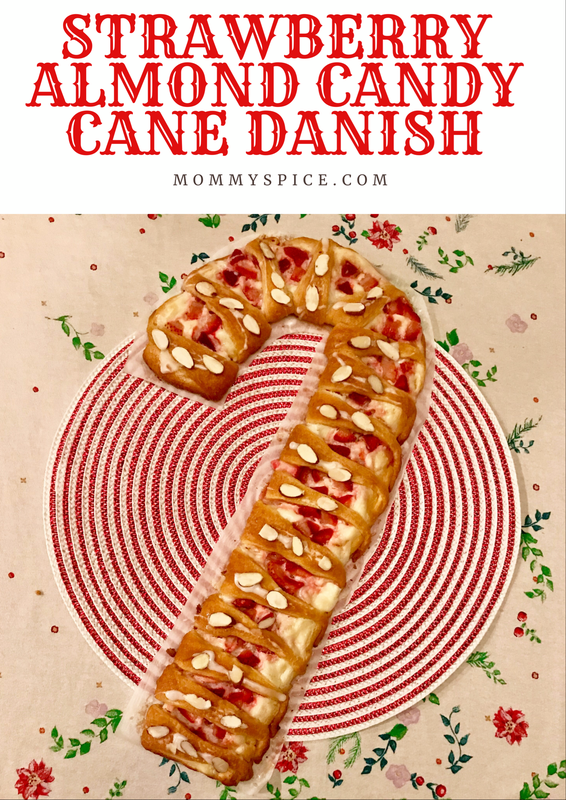 Trial, error and 4 days in a row of candy cane danish making later I feel we have a winner, a final recipe to share with all of you just in time for Christmas. Preheat oven to 350 degrees. Next lay a giant piece of parchment paper directly onto your counter. Slice your fresh strawberries small, sprinkle with 1/2 teaspoon of sugar and 1 teaspoon orange juice stir and set aside, this will help your berries to macerate (become sweeter and softer, releasing their juices to make a light sauce consistency). 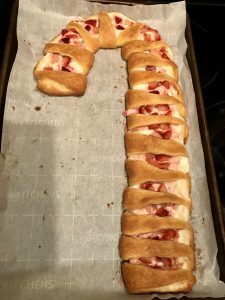 Now you will open up your dough and cut each triangle crescent roll in half lengthwise. 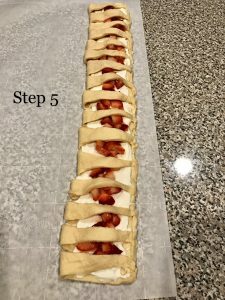 Starting at the bottom of your parchment paper (be sure leave about an inch for when you move this to your baking sheet) layer your half triangles overlapping slightly until you use your whole tube of crescent rolls. 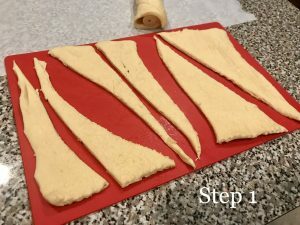 Next pinch together and smush your overlapping dough pieces to form a surface for your filling, try to keep your straight end as even as possible so your candy cane doesn’t end up crooked. 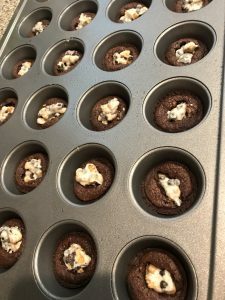 In a small bowl now mix together the marshmallow fluff and cream cheese until smooth, then spread evenly onto the flat long rectangular dough space you just created. 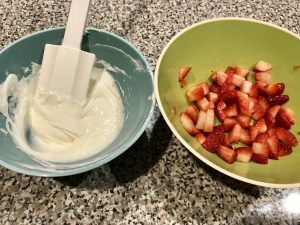 Next evenly pour your berry mixture on top of your cream cheese mixture. 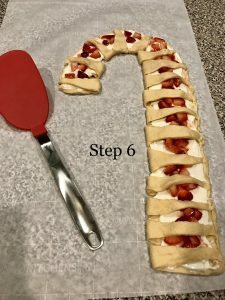 Now things get a little tricky, starting again at the bottom fold over your skinny dough pieces one by one, pinching or tucking any remaining dough to the edge of your candy cane structure. 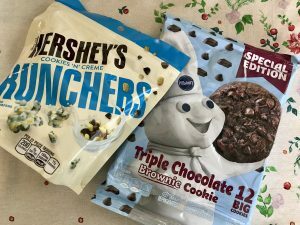 Repeat this method until all of your dough pieces are folded over. Ok, time to make this look like a candy cane, I feel with any baking there comes a time for prayer or crossing fingers, this is that time. 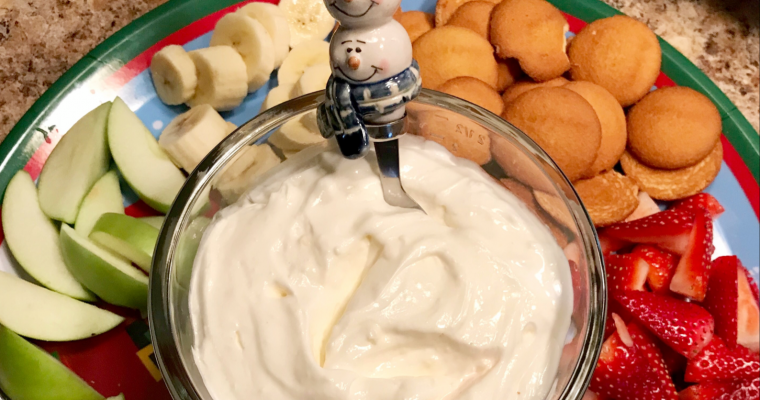 Slowly and gently, either using just your hands, or a really flat spatula take the top of your candy cane and begin to curve it. A good marker for me is to bend with about 5 sections left at the top for your curved edge of the candy cane. 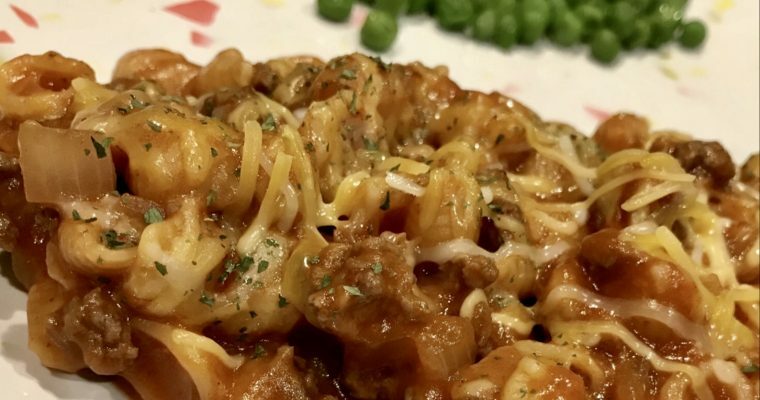 If it all falls apart when you go to move it don’t fret, just try your best to reshape it using the dough on the outsides and connecting those pieces back as best you can. 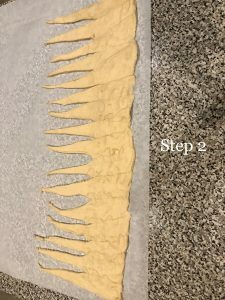 Once you’re happy with your shape candy cane trim your parchments paper with scissors to fit your baking sheet, then place your baking sheet next to the candy cane on the counter. 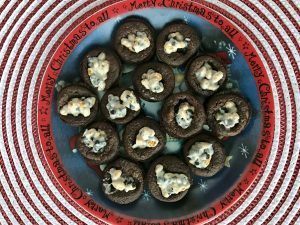 Melt your 1/2 tablespoon of butter in the microwave and brush over all the dough surfaces, tops and sides. 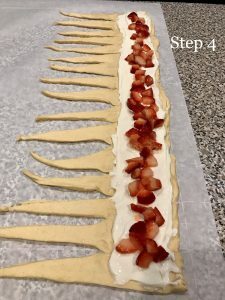 Then gently slide your danish onto the baking sheet by pulling on one excess side of the parchment paper. This method works a lot better than trying to pick up your whole candy cane. 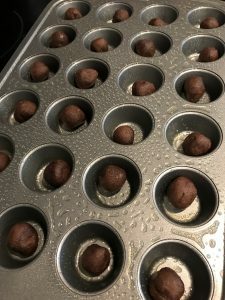 Bake at 350 degrees for 18 minutes, then place on the stove top or covered counter to cool. A good 5-10 minutes should do it. 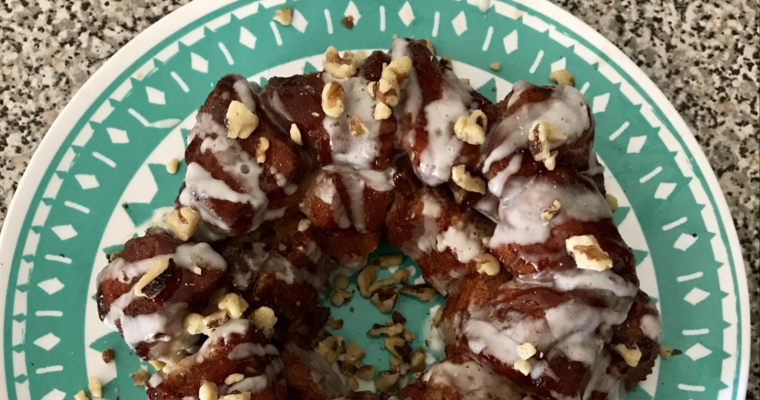 While the danish cools, make your icing. 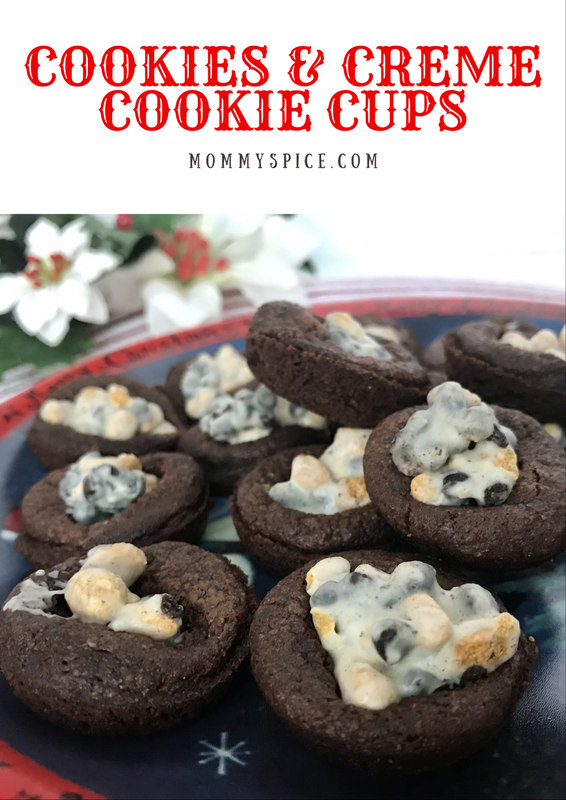 Mix 1 tablespoon powdered sugar to 1 teaspoon milk. 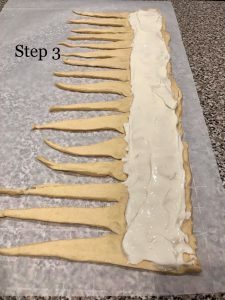 This will make a nice thick icing to top your candy cane, I only drizzle our icing on the dough parts, not the filling, if you want more icing be sure to double the recipe and drizzle away. Once your icing is on layer your sliced almonds over the dough pieces on top of the icing so that they stick. Now it’s time to slice and serve warm. If you have any leftovers seal in air tight container and keep in the fridge, be sure to eat within 3 days. I hope the loads of pictures I took help to make this process easier. 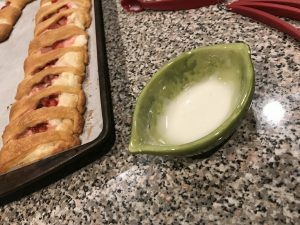 I got the idea for the filling from a fruit dip I make and love, it’s a little more solid than your traditional cream cheese and sugar danish filling. 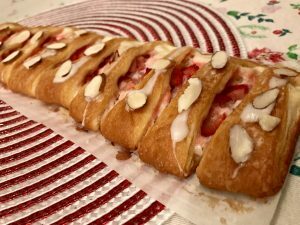 This worked like a charm so that less yummy filling spilled out when cutting into the danish. 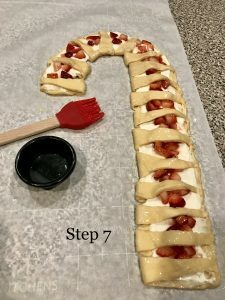 Now the bending of your dough to get the candy cane shape will be the hardest part, but here’s a secret, even if it doesn’t turn out perfect, or in a candy cane shape at all, it will still taste delicious! It’s hard to believe Christmas will be here in LESS than two weeks! 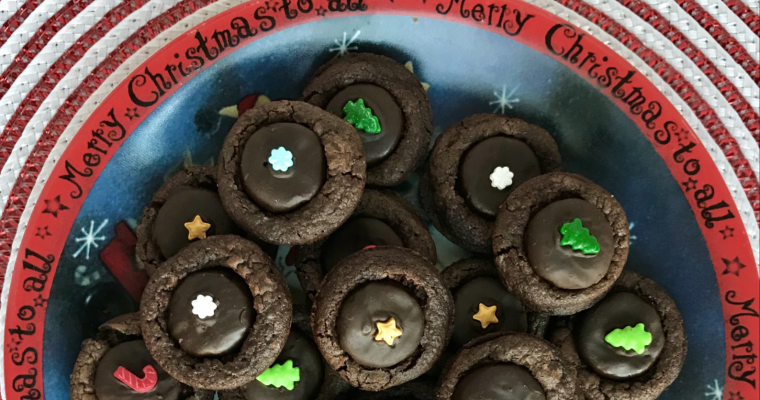 December is flying by, as it usually does with all of the fun holiday things everyone has going on. One big tradition in our house is gingerbread house building. 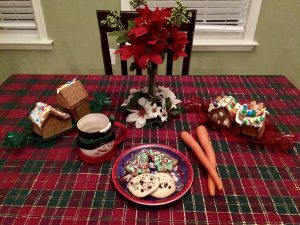 We usually make our creations Christmas Eve morning so that we can leave them out for Santa to see with his cookies, milk and carrots. Good news for you loyal followers is I just happen to have THE BEST secret tip for gingerbread house making! As much fun as decorating all those houses is, the royal icing that comes in those kits is awful at keeping them together. 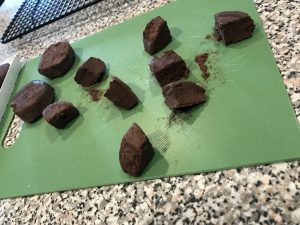 A few years back I found this little tip that will make your gingerbread house solid as a rock. Burnt sugar. 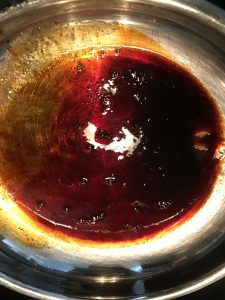 It’s just as it sounds, you pour regular white sugar into a small frying pan on medium high heat until it’s a rich caramel color and has a liquid consistency. Now this stuff is HOT and will burn you so do not let the kids anywhere near it. 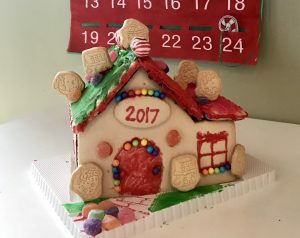 I usually make the structure and then let the kids go nuts with decorating. You have to work fast as the sugar will dry and harden very quickly (similar to working with hot glue). Also be sure to rinse your pan quickly to avoid a lot of elbow grease and scrubbing later on. In a small frying pan pour 1/4 cup white sugar and heat over medium high heat. Stirring occasionally with a metal spoon, 5-10 minutes should do but really go off the color and consistency. A deep caramel color is what you’re looking for, not an actual burnt black. Consistency should be like syrup. 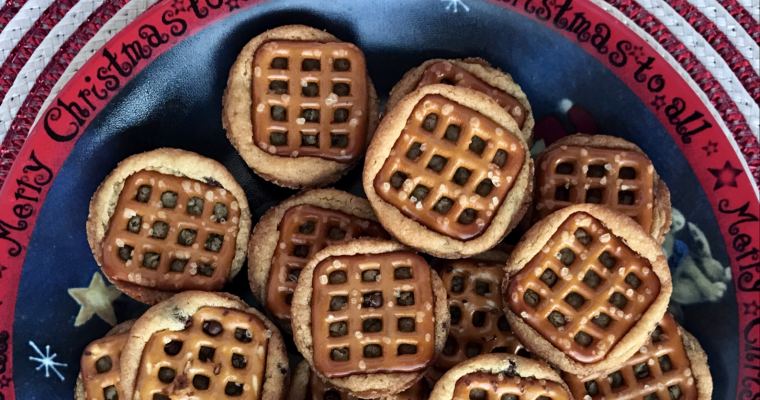 Once done, move quickly spooning or dipping the ends of gingerbread pieces into your burnt sugar and placing them together with other pieces to make your house. As I mentioned above this stuff is hot, I burnt my hand a few years back and it was ugly. As anyone who’s in the kitchen a lot knows burns happen, but this stuff is pretty serious so please please be extra careful! 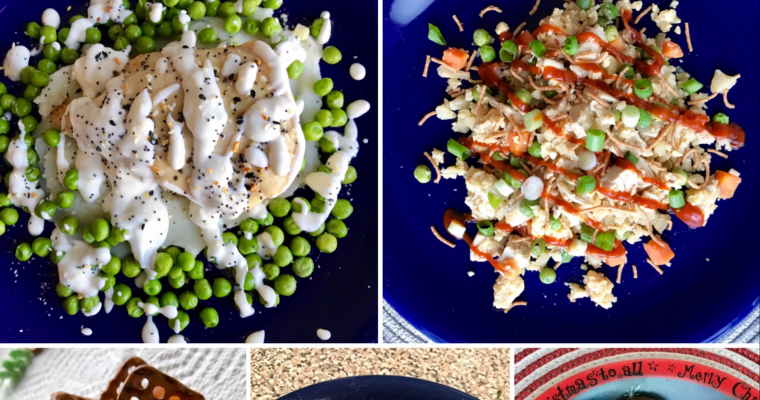 Serious food, does mean serious results, so your structure will be very solid. 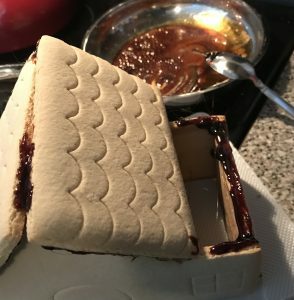 When working with the burnt sugar it will dry very quickly, so you can create the house and in a few minutes let the kids decorate it. 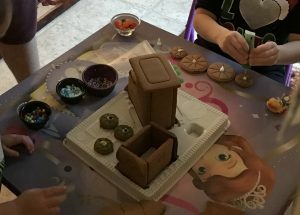 Another option is you can create the structure and let it sit until you’re ready to decorate, regardless of if that’s a matter of hours or days. 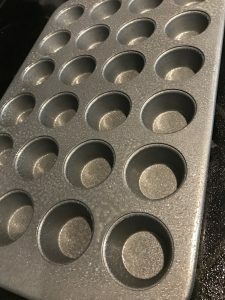 Now this is safe to eat, however it’s very hard, so I don’t recommend it. It’s nice to know it’s safe though, if your kids are anything like mine. For every glob of icing or candy that gets put on the house another goes in their mouth! The really fun thing I’ve noticed the past few years are the different kind of gingerbread kits they offer. 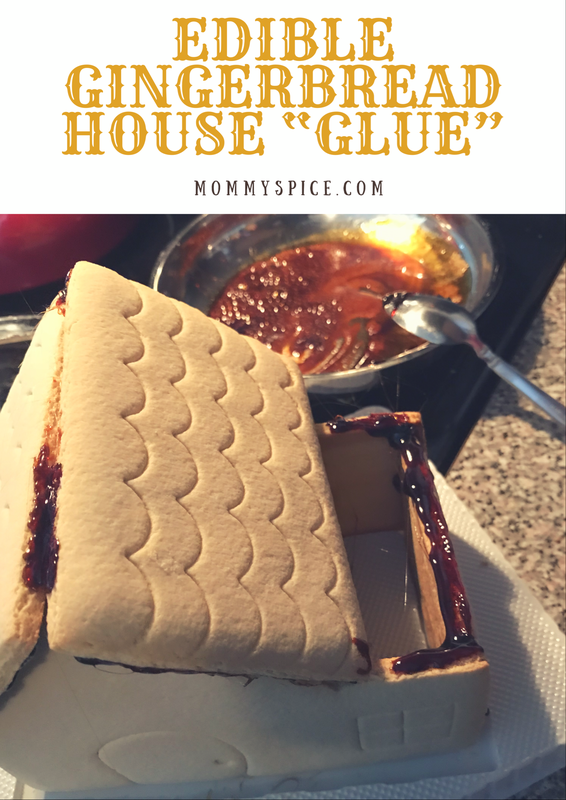 We’ve done the gingerbread train a time or two, character themed gingerbread houses, as well as the gingerbread town (this is a hit with multiple kids who all want to make their OWN house) and I even saw a gingerbread ninja kit this year. 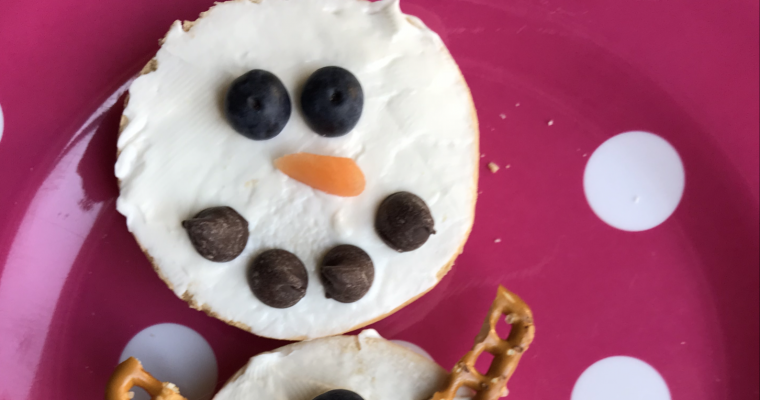 Be sure to come back and post your creations as you make them, both me and my kiddos would LOVE to see what you make.